James Purcell Insurance was established in 1973. We are a family operated general insurance brokerage. We take pride in our personal service, community involvement and customer satisfaction. We offer a full range of insurance products including automobile, home, farm, commercial, recreation vehicles and travel insurance. We welcome you to take a moment and browse our site and get to know us. We are here for you! We are a general insurance brokerage, able to help you find a policy that is best for you. We are not tied to one company so we can help present options to you. Insurance comes in many forms but its purpose is to give you peace of mind. Whether it be commercial, auto, general liability, home, farm or something more specific, we as insurance brokers make insurance work for you! There are always ways we can take better care of our property and avoid claims. Check out some of our tips and information to keep you and your property safe. 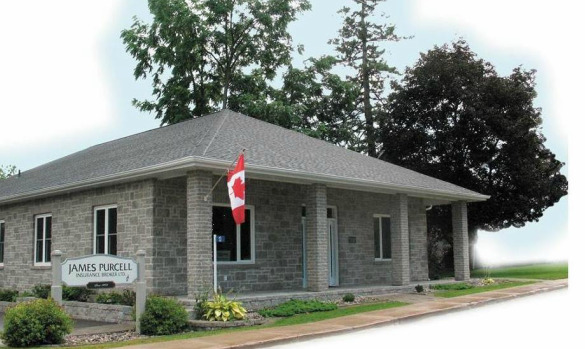 Family owned and operated in beautiful Spencerville, Ontario. Our clients are not just numbers they are our neighbours, community and beyond. Have a question? Need to make a change? Interested in letting us work with you? We would love to hear from you!